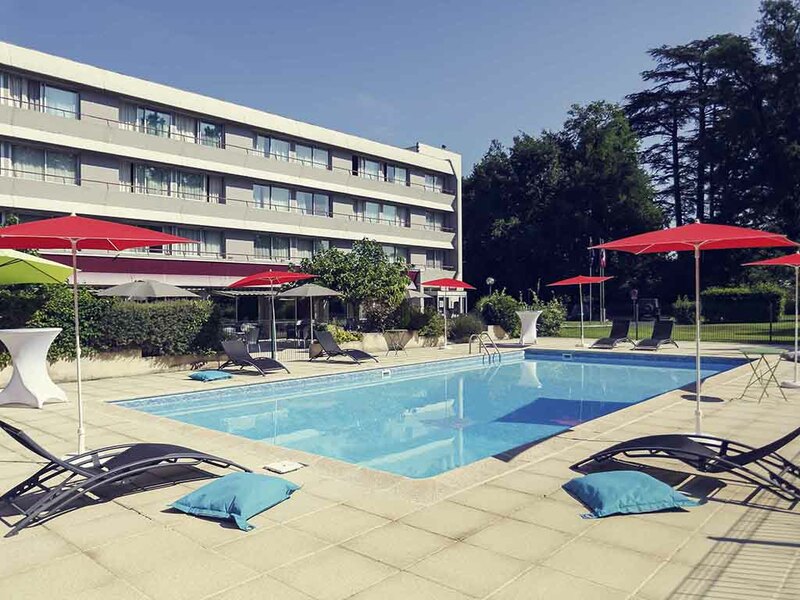 Nestled in a tree-lined park, close to the A20 and A89 and only 5 mins from the center of Brive, the Mercure hotel offers a quiet and relaxing location for your business or leisure trips. Guests can relax in our spacious rooms equipped with a host of mode rn comforts and luxury bedding. The hotel is home to a traditional restaurant, with 24-hour room service, a lounge bar and a swimming pool. We take care of everything, from the moment you step into the Mercure - we have your wellbeing in mind. including the Church of St. Martin. You'll also find Lake Causse, Aubazine Abbey, and the Château de Turenne within 20 km. Want to go even further? Don't miss the medieval cities Sarlat and Rocamadour. My wife and I enjoyed our stay at the Mercure Brive. The staff and the restaurant were great. The road noise from the A20 is however audible at night. We arrived very late at night but were still very good received by friendly staff. Maybe a point of attention was the austere breakfast with not a lot of choice, but still satisfactory. Checking in and out very efficient. The only defaillance is that freshly squeezed orange juice is missing. Even if the one offered is of good quality. We chose Brive la Gaillarde as a good location to revisit the Dordogne. The hotel is set in spacious grounds with a fine terrace. We were very disappointed with our room, 313, which was cramped and nonfunctional. The padded corner-piece turned out to be the wardrobe. Very little space and no shelves or drawers. We had to move chairs around to accommodate a Rollator (walking aid). The restaurant was another disappointment - the choice of main courses was limited to four. But to cap it all there was &quot;No Hot Food&quot; on Friday evening and apparently Saturday and Sunday as well. This hotel is an asset to the Accor group that has possibilities that are not exploited. I have been much more satisfied in an Ibis. The reception staff were extremely polite, very helpful and create a top impression of the hotel. However, the two staff in the restaurant and bar were not and do not do the hotel justice. I have never been served in a restaurant in France with 'torn jeans' which were totally inappropriate . About time they were given a dress code and told to be more welcoming and helpful. We also felt that the food was not as good as two years ago. A shame as breakfast was excellent with polite helpful staff. HVAC noice outside, cheap finishing. Your staff is 5 Star, really! The staff is doing its best and was at any time extremly friendly and helfpufull despite the fact that your hardware, meaning the hotel itself, the plastic, cheap, quick fix, property is running old and you can not hide anymore the missing invest. The noise from the HVAC outside is just the top of the icberg. I whished I had payed the same money to another individual hotel or hotel chain with a soul. I like hotels with respect and love to their property. I had hoped for a Hotel with soul and not IBIS-Style - &quot;plastic bag style&quot;. What is the difference between IBIS and Mercure anyway, besides the price? We all know that Accore comes in extremly handy on business travel but it is no fun to stay at your hotels for leisure. Thereafter I stayed at the Hotel Best Western Carlton Annecy and I found the soul again I was missing at Accor. Sorry to say this but you had asked for. Overall the stay was good. The staff were welcoming friendly and gave my two dogs Molly and April a warm welcome. That might sound unimportant but to dog lovers it is not. The staff were attentive and not fussy. Very friendly staff. Nice room. English tv channels! Love the fact that the hotel is so dog friendly!!! Will stay there again when I’m in the area. This was our fifth visit to this hotel. We like it as it is close to the motorway, is not far from the centre of Brive, is in a lovely parkland setting, has a pool and the staff are delightful. The rooms are spacious and the breakfast is copious and well presented. A return visit to the Mercure at Brive, we were even more happy with our stay than before! Poor gym: broken and too few equipment. Room: Why separate wc and bathroom? Not easy to use as big person. Also bad smell, maybe because of renovation? Door would not close properly easily, was left open at first by mistake. Restaurant: Service was friendly but unorganized, mistakes happened like wrong drink. Main course fish was undercooked, when I told waiter(s), no reaction, no compensation. It would be good to receive the check to be signed, even when is billed on room.